The Virtues of Poetry is a resplendent and ultimately moving work of twelve interconnected essays, each of which describes the way in which a particular excellence is enacted in poetry. Longenbach closely reads poems by Shakespeare, Donne, Blake, Keats, Dickinson, Yeats, Pound, Bishop, and Ashbery (among others), sometimes exploring the ways in which these writers transmuted the material of their lives into art, and always emphasizing that the notions of excellence we derive from art are fluid, never fixed. Provocative, funny, and astute, The Virtues of Poetry is indispensable for readers, teachers, and writers. 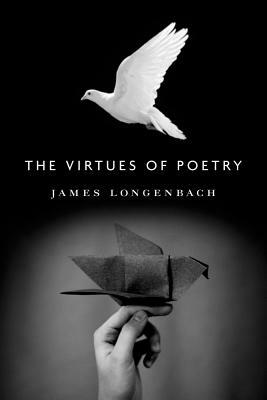 Longenbach reminds us that poetry delivers meaning in exacting ways, and that it is through its precision that we experience this art's lasting virtues. James Longenbach is a poet and critic. He is the author of The Art of the Poetic Line and several other critical works, as well as four collections of poetry, including The Iron Key. He is Joseph Henry Gilmore Professor of English at the University of Rochester.